On occasion of the magazine's DATUM relaunch, I was asked to contribute a photo essay on 18 of the greatest comeback albums curated by Gerhard Stöger, one of Austria’s most renowned music journalists. To tell the story I played with the idea of exalting the music's inherent pop culture by setting it in within the context of important fine art. 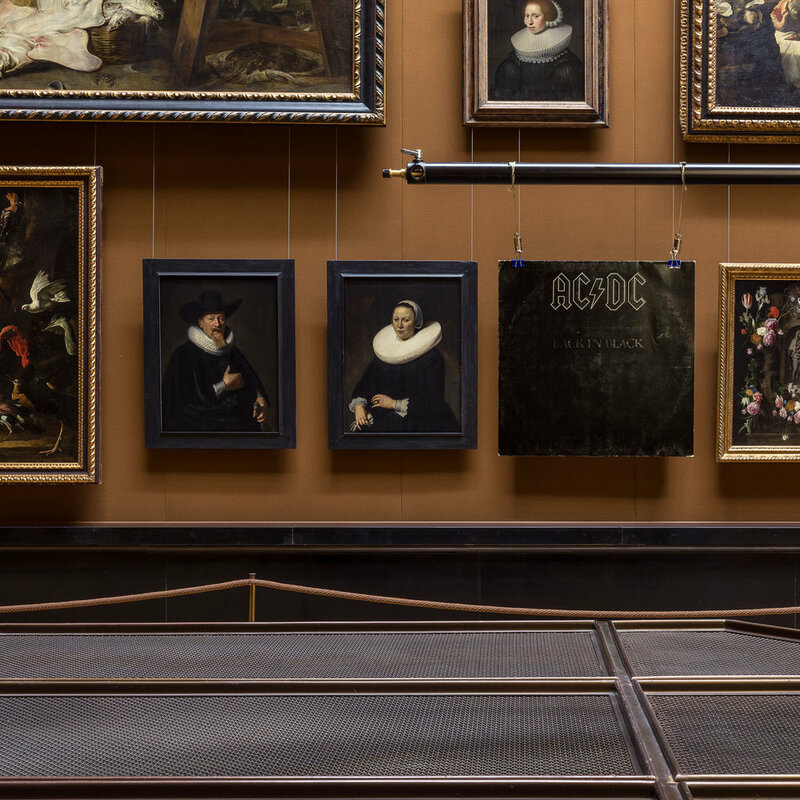 While thinking through various other ideas, I ended up staging the album covers by installing them close to famous and precious paintings at the famous Kunsthistorisches Museum Vienna's gallery. Though this was about a photo essay it was important to me to capture the entire the installation thus keeping that little twinkle that it's all not that serious as it pretends to be. Hence proportions, shadows and wirings are not right and give a hint of the overlaid fine art paintings behind the covers.